Use any of our fresh ingredients to create your own unique masterpiece! 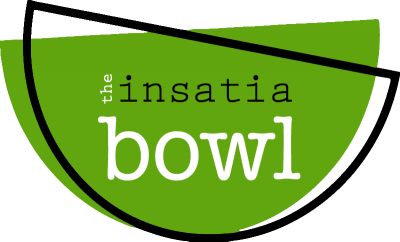 Infact if we like it enough it just may become a signature insatiabowl! Fresh seasonal greens, tomatoes, sliced egg, cheese, and tortilla strips with your choice of grilled or fried chicken. A heap of roasted potatoes with a helping of gravy and mixed vegetables is joined by hand sliced Salisbury steak. A comfort food classic with a healthy twist! Macaroni and cheese is topped with broccoli, seasoned bread crumbs and fried cauliflower with a drizzle of our house sauce. Our ode to middle school lunch! This delicious bowl starts with fresh seasoned tater tots topped with sloppy joe, seasonal mixed veggies and cheddar cheese. Slow cooked vegetarian chilli topped with cheese, jalapenos, and crunchy corn chips. A bed of handmade mashed potatoes or cauliflower topped with your choice of perfectly seasoned fried or baked chicken. Seasonal mixed veggies and a dollop of gravy top this dish off. Our homage to Thanksgiving features a homestyle dressing topped with smoked turkey and cranberry sauce with a buttered dinner roll. The cajun bowl features a bed of creole style reds beans and rice, topped with your choice of grilled shrimp, andouille, and/or seasoned chicken breast with a side of cornbread. *Shellfish Allergy. Start the day off with scrambled eggs, crisp bacon slices and french toast triangles. A delicious bowl of seasonal fruit and berries topped with a drizzle of your choice of honey, chocolate or caramel sauce. Our homemade brownie topped with a scoop of ice cream, seasonal berries and a drizzle of your choice of chocolate or caramel sauce. A thick slice of pound cake topped with seasonal fruit and lightly drizzled with your choice of chocolate, honey or caramel sauce. A variety of fruit and mixed fruit juices. Featuring Top Pop brand sodas in a variety of flavors. Many of our ingredients are seasonal and sourced locally! 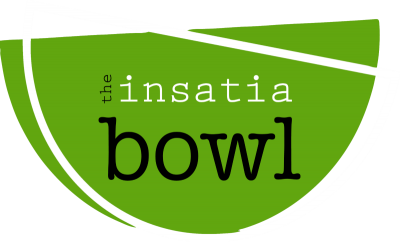 The menu will change with availability to ensure you always have the freshest and highest quality ingredients in your bowl.